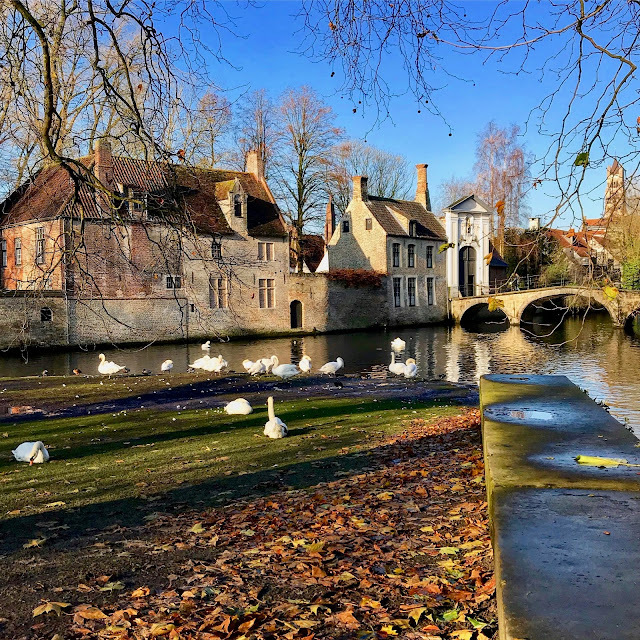 For as long as I can remember, Belgium's historic city of Bruges has been on my travel bucket list and a few weeks ago, Tom and I spent four (terribly rainy) days enjoying the sites and exploring the quaint cobbled streets. Beer, hot chocolate, waffles, Flemish stew, gin and moules frites all made an appearance and only now can I fully appreciate what all the fuss was about. From the South East of England, Bruges is easily accessible. We hopped on the Eurostar from London St Pancras to Brussels Midi, then boarded a local train to Bruges; in total, a 3 hour journey. From Bruges station, it's a short walk to the centre of Bruges (approximately 15 minutes) and super easy to navigate, so we began our tour of Bruges tottering along with our suitcases - like the ultimate tourists - until we reached our hotel.